Bankim Chandra Chatterjee : One of the greatest novelists of India who gave the 'people the sacred 'mantra'- Vande Mataram. One of the greatest novelists of India who gave the people the sacred 'mantra'- 'Vande Mataram.' The Bengali Novel practically began with him. He also wrote philosophical works, which stimulated independent thinking. 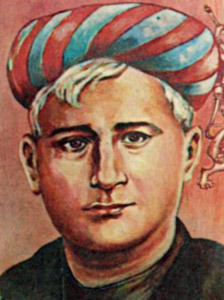 Bankim Chandra Chatterjee was born on 27th June 1838 in the village Knathalpara of the 24 Paraganas District of Bengal. He belonged to a family of Brahmins. The family was well known for the performance of yangas (sacrifices). 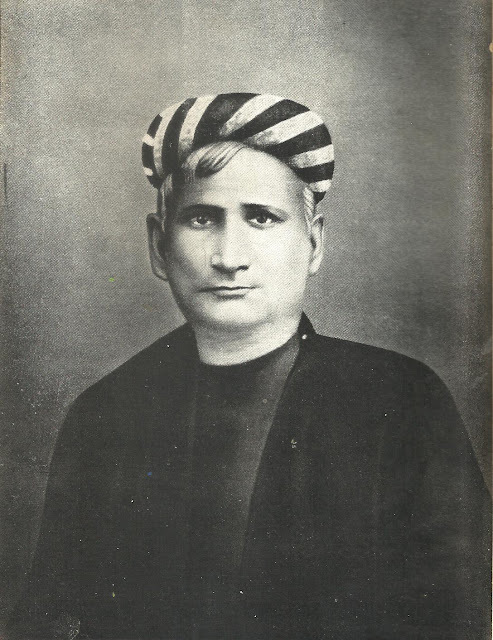 Bankim Chandra's father Yadav Chandra Chattopadhyaya was in government service. In the very year of his son's birth he went to Midnapur as Deputy Collector. 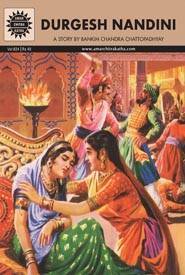 Bankim Chandra's mother was a pious, good and affectionate lady. The word 'Bankim Chandra' means in Bengali 'the moon on the second day of the bright fortnight'. The moon in the bright half of the month grows and fills out day by day. Bankim Chandra's parents probably wished that the honor of their family should grow from strength to strength through this child, and therefore called him Bankim Chandra. 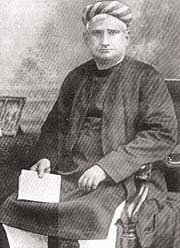 Bankim Chandra's education began in Midnapur. Even as a boy he was exceptionally brilliant. He learnt the entire alphabet in one day. Elders wondered at this marvel. For a long time Bankim Chandra's intelligence was the talk of the town. Whenever they came across a very intelligent student, teachers of Midnapur would exclaim, "Ah, there is another Bankim Chandra in the making". Died 8 April 1894. Bankim Chandra finished his early education at Midnapur. He joined the Mahasin College at Hoogly and studied there for six years. Even there he was known for his brilliance. His teachers were all admiration for his intelligence. With the greatest ease Bankim Chandra passed his examinations in the first class and won many prizes. He was not very enthusiastic about sports. But he was not a student who was glued to his textbooks. Much of his leisure was spent in reading books other than his texts. He was very much interested in the study of Sanskrit. He would read and understand Sanskrit books on his own. He was struck by the beauty of that language. Bankim Chandra's study of Sanskrit stood him in good stead. 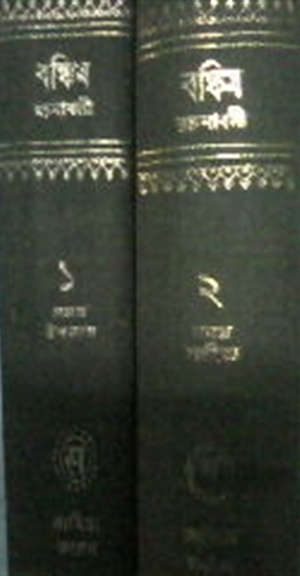 Later when he wrote books in Bengali this background of Sanskrit was of great help to him. There was no set rule for his study of books. It was enough that a particular book attracted his attention. He would pore over it for hours on end in some corner of the college library. He used to spend most of the academic year in this way, reading books other than his texts. And as the examinations drew near he would race through the texts. But it made no difference for, as usual, he would pass in the first class, and win prizes. And then again he would keep away from texts. In 1856 he joined the Presidency College in Calcutta. The next Year, in 1857, soldiers of the Indian army rose in mutiny; the mutiny was bid to gain freedom. Calcutta was all confusion during this time. But Bankim Chandra's studies went on as usual. He sat for the B.A. Examination along with eleven candidates. Both Bankim Chandra and his friend Yadunath Bose passed. The Lieutenant Governor of Calcutta appointed Bankim Chandra as Deputy Collector in the same year. We may recall that his father Yadav Chandra had also rendered service as Deputy Collector. According to his father's wishes Bankim Chandra accepted the appointment. He was then twenty years old. Having developed an interest in the study of Law he got through effortlessly in the B.L. Degree examination, too. Bankim Chandra was appointed Deputy Magistrate. He was in Government service for thirty-two years and retired in 1891. He was a very conscientious worker. Most of his officers were Englishmen. They were a proud lot for they were the ruling power of this country. 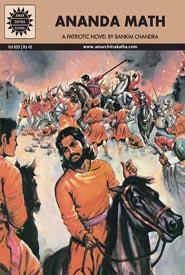 Bankim Chandra never submitted to their proud, unjust or stubborn behavior. He worked hard and with integrity. Yet he never got the high position that he so much deserved! Bankim Chandra would never sacrifice justice or self-respect. The arrogance of the white men never frightened him. When he was a Deputy Magistrate there was a superior officer named Munro, who was the Commissioner (the head of the province). Bankim Chandra met Munro near Eden Garden once. A British officer in those days expected any subordinate Indian official to show him respects by bowing modestly before him. But Bankim Chandra just walked past Munro. Munro was enraged. He transferred Bankim Chandra to a different place. There were many such incidents during his service. His self respecting behavior angered the British officer. As a result he was often transferred from place to place and much harassed. His official career was full of such troubles. There were also some unhappy incidents in his personal life. Bankim Chandra was married when he was only eleven and his wife was five years old! Within a year or two of his appointment as a Deputy Collector at Jessore he lost his wife. Bankim Chandra was only twenty two then. The death of his young and beautiful wife made him very unhappy. After some time he married again. His second wife was Rajlakshmi Devi. They had three daughters but no son. 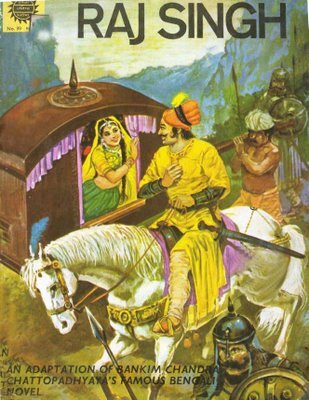 Bankim Chandra's youngest daughter Utpala kumari is said to have committed suicide. When he was in Jessore, Bankim Chandra met a person by name Dinabandhu Mitra. He was a renowned Bengali dramatist of the time. They became close friends. Bankim Chandra dedicated his 'Anandamath' to the memory of his dead friend Dinabandhu Mitra. 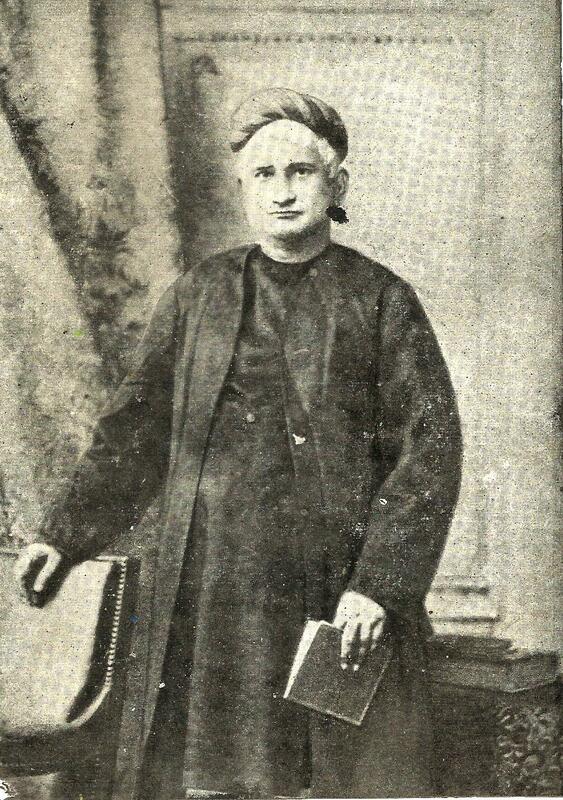 Bankim Chandra had founded a journal called 'Vangadarshan'. 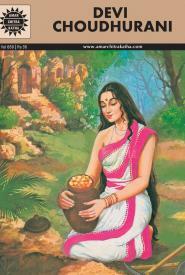 'Anandamath' appeared in installments in this monthly journal. In 1882 it appeared in book form. Soon the copies were sold out and the book was reprinted. 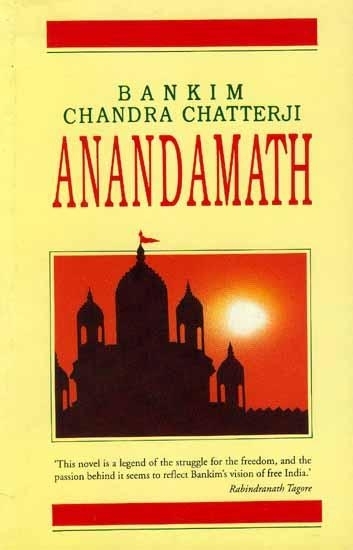 During Bankim Chandra's lifetime alone, in ten years 'Anandamatha' was reprinted five times. Readers found reading a Bankim Chandra's novel an altogether knew kind of experience. The people of Bengal were fascinated by his novels. When the novels were translated into other Indian languages they delighted the new readers too. Bankim is regarded as one of Bengal's treasures; this was because of his novels. 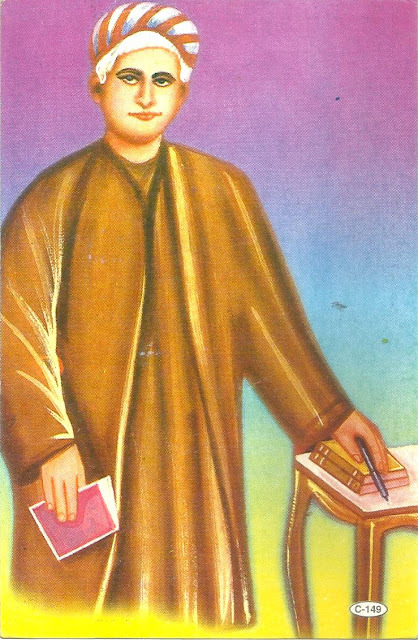 Bankim Chandra had give thought to the question of a writer's style. A novelist tells a story. How should he write? His language must be the language of the people - language they can understand; he must write as they speak, thought Bankim Chandra. He wrote in that manner. Though his language was close to the spoken form of his day, it was attractive. The Bengali language acquired a new dignity because of his writings. 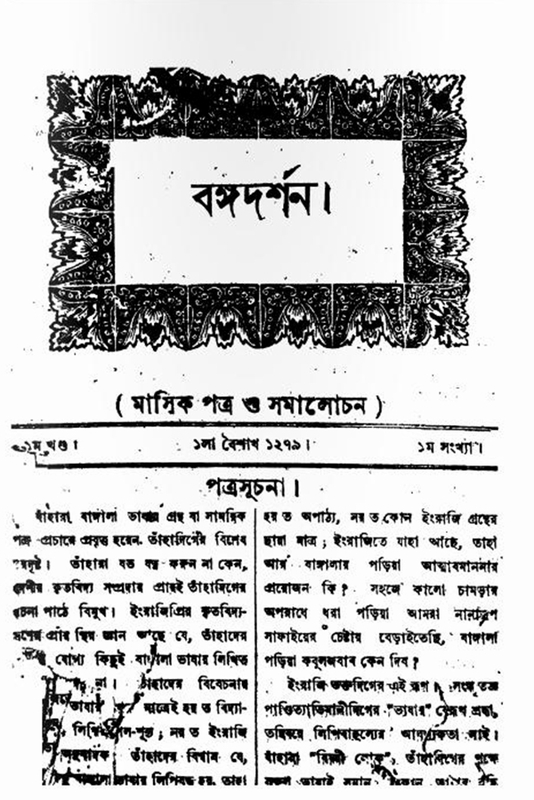 While at Khulna, Bankim Chandra began aserial story named "Rajmohan`s Wife" in the Indian Field newspaper, then edited by Kishory Chand Mitra. This was his first public literary effort. Bankim Chandra Chatterjee was a great writer with a diffrence ahead of time . His writings were adroned with beautiful original Bengali language heavily influenced with Sanskrit stanza. Before Great Rabindranath Tagore He modernized bengali language for future generation. He established Bengali language major language in India after English.He transformed bengali language into rich Lyrical form which was inherited from ancient Sansrit language through his writings. Bankim Chatterjee was superb story-teller, and a master of romance. No Bengali writer before or since has enjoyed such spontaneous and universal popularity as Chatterjee. His novels have been translated in almost all the major languages of India. 1) Novels were written on Historical background or Subjects which were 'Durgeshanandhini','Kapalkundala,''Mrinalini,' 'Chandrashekar' and 'Rajsingha'.All these novels have very interesting stories on Historical Backdrop. 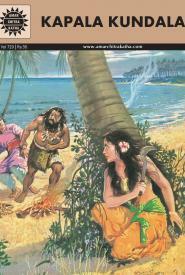 2) Novels on Social Issues : Bankim wrote novels about the people around him. One such novel was 'Vishavriksha'. This was Bankim's first social novel. 'Vishavriksha' means the poisonous tree. The tree of poison of this novel represents the anger and the desire for comfort found in every man. This tree grows within anybody. If the mind is firm the tree cannot grow there. It grows when the mind is weak. Several of his novels like 'Kapalkundala' and 'Devi Choudhurani' have been very popular. In his Famous novel Anandamatha he wrote a song "Vande Mataram" means Worship the Mother Nation with all its Green vegetations and Agricultural richness and cool and shoothing breeze. This beautiful song became the inspirational iconic song for Indian Freedom fighers at those time. It became such a source of inspiration that the British officers were enraged at the very mention of this. People were sent to prison just because they sung this song. 'Vande Mataram' has an honored place in independent India. Bankim Chandra's novels made him famous. But he has also written excellent books which are not novels. 'Krishna Charitra', 'Dharmatattva' (Philosophy of Religion), 'Devatattva' (Principle of Divinity) and a commentary on 'Srimadbhagavadgeetha' are some of his other books. He wrote articles on Hinduism both in English and in Bengali. He had deeply studied choice books in English. Other Than The Novels Bankim Chandra Chatterjee has also written excellent books and Essays on literary criticism, political manifestos, learned arguments. Lists of his works other than the Novel were give below.He wrote these essays and stories in his Vangadarshan Magazine. One of the greatest novelists of India who gave the 'people the sacred 'mantra'- Vande Mataram.' The Bengali Novel practically began with him. He also wrote philosophical works, which stimulated independent thinking.